This week's The Lounge theme is Proud Moments. I'm not going to list these in order, as they all make me proud for one reason or other and no one is better than the other. They range from the crazy to the cool, but all of them hold a special place in my heart and give me a reason to brag (even if the brag is done with tongue-in-cheek!). 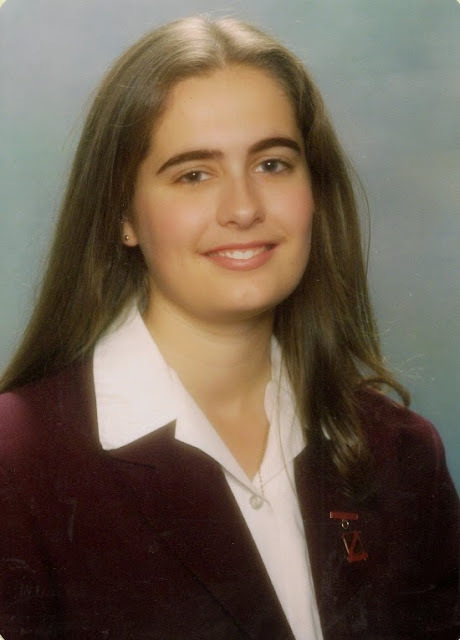 When I was in year 6 I was asked to sing my first solo for the school's ANZAC Day ceremony. I was only given a day's notice, so I held the words on a piece of paper in front of me, and I was beyond nervous as I had less than 24 hours to learn the song (And the Band Played Waltzing Matilda). My Mum and my choir teacher Miss Forbes helped me with my nerves and learning the song, and without their words of encouragement I probably would have run off screaming and spewing rather than go through with it. I'm so glad I did it though, and the confidence I gained from that first solo performance has helped me in other areas of my life over the years, and I use it as a reminder to believe in myself and give anything a go. This is a total tongue-in-cheek proud moment as there was only 4 of us competing in the race! I was one of four school captains (my next proud moment) and we were told that it would be setting a good example if we were to participate. So the four of us walked the course and agreed that we would all cross the finish line together. I reneged on that and when we were about 100m from the finish line I took off, sprinting my way to my one and only athletic victory! I also gained a degree of notoriety and a reputation of cunning amongst my friends and teachers! I still like to brag about this win to this day, just to see people's reactions when I explain to them the circumstances. Deciding to run for School Captain was a bit of a spur of the moment thing. I hadn't really thought about it at all until the final day to put your name down came around. I was already House Captain by default (after every other House Captain in my house left the school! Lol!) and so I thought why the hell not. It might be nice to actually be voted in for something rather than getting it by default because you were the only one left! I didn't tell anyone but my best friend that I had put my name down, and by the time the day of the speeches rocked around I was starting to wish I hadn't bothered. But I absolutely nailed my election speech, and I've been told by heaps of people that my speech was the reason why they voted for me, they didn't even know who I was before then! I remember going home the afternoon that I found out I'd been elected and telling Mum & Dad. Their reactions were priceless and it still gives me warm and fuzzies when I think about how proud and happy they were for me. This may sound silly to some, but for a long time I avoided doing anything too 'big' by myself with the girls for fear that I would be overwhelmed and lose one of them or my sanity! One day however I was invited to attend the Pregnancy, Baby & Toddler Expo at Homebush for a blogging PR thing with Medela. For some reason it never crossed my mind the fact that I was about to embark on this huge day out with both girls, all by myself. It took lots of organisation to get us all out of the house on time, and nerves of steel to navigate through the hordes at the expo. We ended up having a great (but exhausting!) day and it wasn't until I had strapped the girls back in the car and was heading home that I realised I had just successfully survived a massive day out with both girls, all by myself. That's the moment when I realised that I had in fact started to get the hang of this 'parenting two small children' gig. If you follow my facebook page you would have seen a little update I posted on Tuesday night. I entered a competition about a month ago to be an iiNet Insiider and go to Perth for their 21st birthday celebrations. 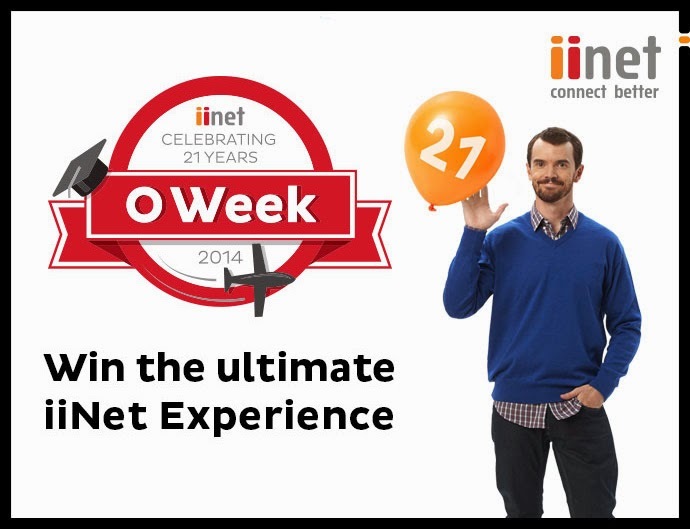 The prize include an all-expenses, week-long trip to Perth, where I'll get to visit the iiNet offices and see them in action, hang out with some of their cool tech partners, as well as attend their 21st birthday VIP party. Over 1500 people entered and 5 winners were chosen based on their social media entries and presence. To say I was excited when I got the call to say I'd been shortlisted, and then won, is a major understatement. I didn't think I'd have a real chance of winning, and the fact that I have makes spending so much time blogging and on social media feel just that little bit more justified! Other proud moments of note: Buying a house, organising my entire wedding, giving birth to my girls, getting my licence and every job I've ever been lucky enough to get. If there is one thing I have learnt from these proud moments, it's to believe in myself and to not let self-doubt stop me from doing great things. 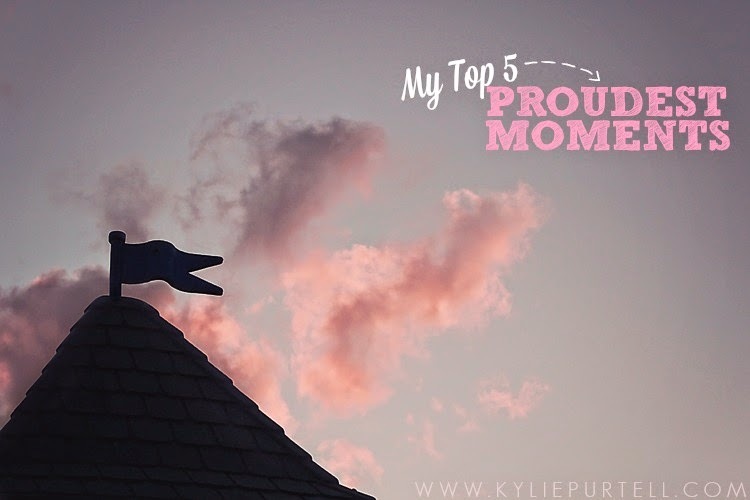 Now it's your turn, what are you proudest moments, both big and small, I want to hear about them! Yay! Congrats on all your winning moments, and especially your win! I hope you have the best time! Great list! Love your cross country story. I have never won a cross country, but I did manage to run the whole way once so was pretty proud of that!! All of the girls in my class did the same thing with the Cross Country when we were in Yr 12. The teachers refused to give us all a first ribbon though, we felt ripped off! Congrats again on the iiNet competition! I went to a school on Dartmoor and my friend Mandy and I used to take off for her sisters house for a cup of tea rather than run the course and then meet up with the others on the way back - our teacher never came with us and so never knew. There really are some moments to be proud of on your listf! What a lovely post honey, you really should be proud!! And that iinet thing - WOOHOOO!!!!! Some great moments to be proud of! And congrats on the iinet win. I would not be telling anyone that cross country story - just that you won. You still participated and got over the line! I used to walk them too but we always had lots of participants to run ahead and get the glory. You can SING!!! You can RUN!!! And you were school captain! You should be proud of yourself girl! What I want to know is why I only ever hear about competitions when they're over? Story of my life really. My only proud moments have been lived vicariously through my kids :) Oh... congratulations!